Rare Bird Books, a Barnacle Book, 9781942600701, 280pp. 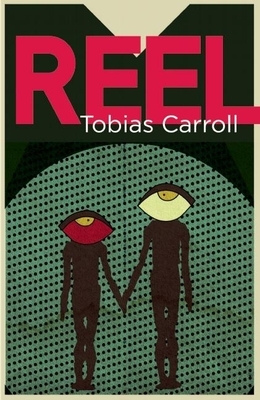 Reel follows two lives that collide at a Seattle punk show, and the strange consequences that arise. Timon serves as the hyperobservant western outpost of his family's business, verifying artifacts and losing himself in deafening music and isolation. Marianne fears stagnation, and has begun to crave the rootless travel of her youth. After a tense meeting, each proceeds through a series of surreal encounters that deconstruct the lives that they've created, forcing each one into a reckoning with the world around them. Tobias Carroll lives and writes in Brooklyn, New York, where he is the managing editor of Vol.1 Brooklyn. His fiction and nonfiction have been published by Tin House, Midnight Breakfast, The Collagist, Necessary Fiction, Bookforum, and Joyland. He can be found on Twitter at @TobiasCarroll.